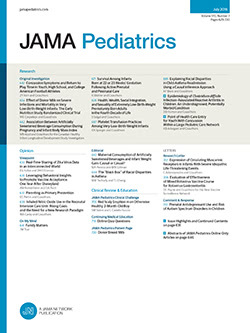 THE OCCURRENCE of paroxysmal atrial tachycardia or atrial flutter in infancy is well documented and has been reviewed in previous communications.1,2 Congestive heart failure secondary to prolonged paroxysmal atrial tachycardia occurred in approximately 50% of cases in one reported series.1 Some of these patients had peripheral edema. Whereas the onset of paroxysmal atrial tachycardia during intrauterine life has been reported,3-7 our search of the literature has not disclosed the description of massive peripheral edema associated with intrauterine paroxysmal atrial tachycardia. We recently encountered an example of this phenomenon, and the uncertainties which surrounded our patient's obstetric and pediatric management prompted this report and discussion.